Size of this preview: 800 × 557 pixels. Other resolutions: 320 × 223 pixels | 2,048 × 1,426 pixels. Lorie Shaull: Norma McCorvey (Jane Roe) and her lawyer Gloria Allred on the steps of the Supreme Court. 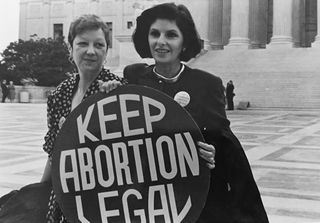 current 19:15, 11 May 2017 2,048 × 1,426 (648 KB) Aliciagutierrezromine (talk | contribs) Lorie Shaull: Norma McCorvey (Jane Roe) and her lawyer Gloria Allred on the steps of the Supreme Court. This page was last edited on 11 May 2017, at 19:15.